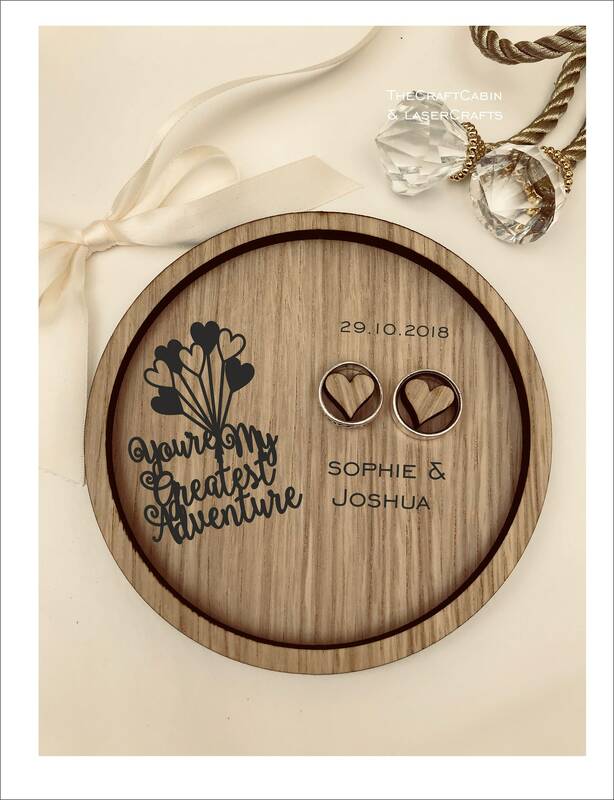 Personalised Wooden Wedding Ring Bearer Tray. Disney UP - You're My Greatest Adventure. Ideal Wedding Ring Dish, Plate or Holder. 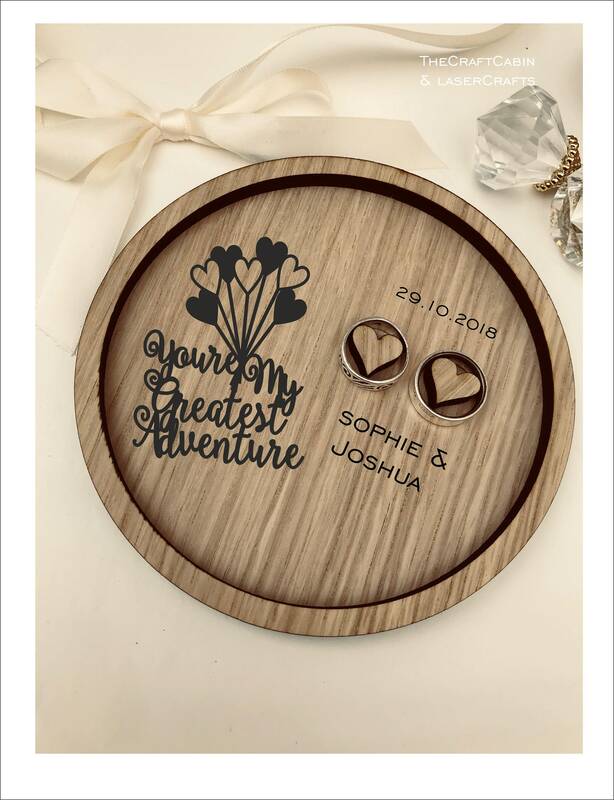 This elegant Engraved You're My Greatest Adventure is made from oak, this wood ring holder plate/tray is the perfect accessory for your page boy/girl to walk down the aisle with.